It's Big! Situated on a cul-de-sac this well appointed home w/upgrades has over 3500 sq ft on two levels featuring 5 beds and 4 full baths! Walkout basement with roughed in bath is ready for finishing touches for over 5000 sq ft of living space! 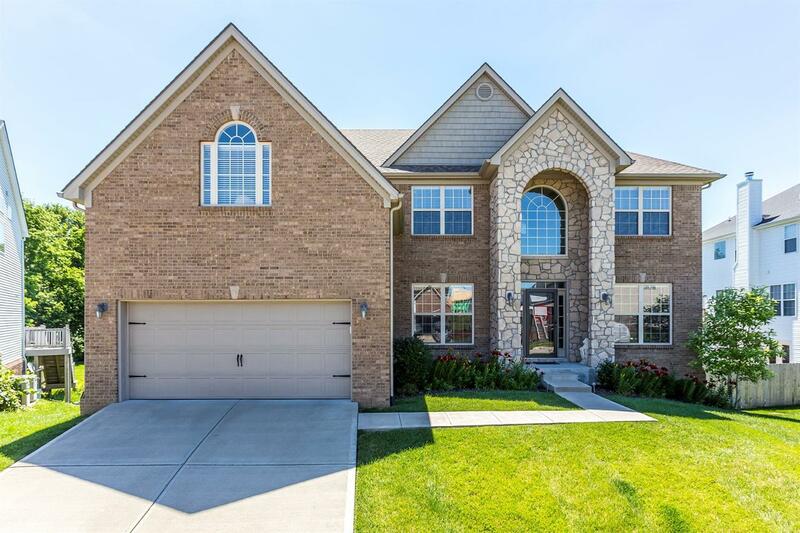 Main level features open concept flow from large eat-in kitchen with stainless steel appliances and a sizable bar to a family room w/stone fireplace and built-in cabinetry. Main level bedroom is perfect home office with adjacent full bath. 2nd level bonus open loft leads to 4 spacious bedrooms. Luxurious master suite has large sitting room. Master bath boasts shower, whirlpool tub, distinct his/her quartz vanities with lots of storage and dual his/her walk in closets. Three additional large beds, 2 with walk-in closets and one with private bath along with 4th bath/with double granite vanity complete this level. Unusually large backyard for the community compliments this beautiful home. Must See!